Sure, there are differences between sensor x and sensor y. Camera A might focus infinitesimally faster than camera B, but camera B probably trumps camera A is other regards. Basically, whatever camera you choose today is able to achieve image results that we could only daydream about 10 years ago. Whether it’s an entry level Sony A5000 or a flagship Canon EOS 5Ds, the margins between what the one can do over the other have narrowed to the point that a skilled photographer can produce excellent, publishable, printable to 17” wide images on virtually any current APS-C, M4/3s or FF DSLR or mirrorless interchangeable lens camera (and a great deal of the competent compacts besides). So with the sensor tech and the mechanics in the camera at such an advanced stage, it’s how you feel with the camera in your hand that decides which camera is better than the other. 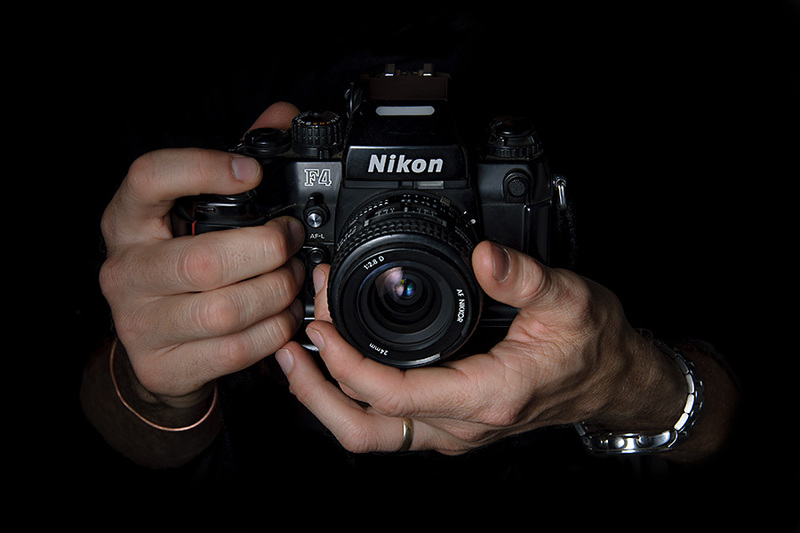 Back in 2002 I bought my first new SLR camera (I had plenty of secondhand bodies up to that point); an out-of-the-box Nikon F100. I had never picked the camera up before, but drooled over the specs from the moment it was introduced. This was to me not only the poor man’s F5, but the traveler's ultimate 35mm since it had all the advantages of the F5’s metering and focus sans the blistering frame rate and vertical grip. I ditched a beautiful F3 and a much abused but still loved N90s to pay for the F100. In every way the new camera was better than what I had already. It was intuitive to use and Nikon hadn’t gotten to the stage where we even had to contemplate menu’s, so I was up and shooting confidently without even reading the manual. It was all wonderful up until the point that I spent a day photographing graduates at the University graduation. I went home that night with blisters on the ends of three of my right hand’s fingers. I had discovered that the grip is just a mite too shallow for my fingers, resulting in them pressing up hard against the camera body while I was working. The next day I bounced between my beloved F4s and an FE2 with an MD-12 motor drive (an assistant loading film and swapping cameras). My fingers welcomed the change. I continued to shoot with the F100 right up until I entered digital with a Nikon D200. However, whenever I knew that I would be shooting for a long period and burning a lot of frames, I would pull out the F4s rather than the F100, simply because I knew that it felt better in the hand. So the irony is that the F100, which I bought for it’s autofocus and as an event camera, ended up being used on a tripod most of the time, while the F4s, which had appalling autofocus in comparison remained my goto event and reportage camera. The point of all this really, is that if the camera doesn’t feel right in the hand, it will work against you while you try to create images. 6 years ago I didn’t enjoy the ergonomics of Canon cameras. The grips were too thin and button placement was somewhat at odds to how I felt the ergonomics of a camera should behave. The current crop of Canon’s on the other hand are a dream to hold and use. The beefy grip is now comfortable even on the entry level units and the buttons are more logically spaced. Were I to enter photography now there is a 50/50 chance I would go to either Canon or Nikon. But not to Sony. Sony still has a lot to learn in the world of ergonomics. They make amazing cameras admittedly and I have found myself recommending the A6000 in particular to several photographers (including my own brother). However, working with a Sony tends to be a slower process than with a Canon or Nikon (I can’t speak for the the new version IIs of the A7 series admittedly, which are very interesting cameras). Another case in point to the way that it feels in the hand is the actual physical size of the camera. My wife hates it when I hand over the D3x (even the D800) for her to take a photograph as it is simply too big for her hands. On the other hand she has no problem using my significantly smaller Fujifilm XT-1 or her own Sony NEX-5n. Size matters it would seem, and smaller is better for the large proportion of photographers out there. So forget about megapixels and frame-rates for a while. Ignore the see-in-the-dark ISO levels that cameras have. If you want to buy a camera, put it in your hand and hold it. Does it feel good? If you peep through the viewfinder, does it invite you to keep on looking? when you click the shutter, do you like the sound that it makes? Can you press all the buttons with ease, even if your eye is at the viewfinder? One day, the way it feels, sounds, and even how it looks cosmetically, may be what invites you create a photograph; for the simple joy of using the camera.